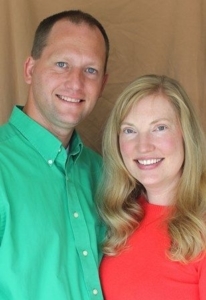 Chad Peterson is the associate director of Teens For Christ, and is involved in many different programs, including Bible Clubs, ITE, the Preacher of the Word Trips, our Belize Mission Trip, VBS Mission Trips, Lock-ins, Quizzing, and more. Teens for Christ (TFC) is dedicated to reaching teens with the gospel of Jesus Christ, helping them grow in the Lord, and guiding them as disciples for Jesus. TFC wants to reach teens with the gospel and watch them grow in faith. Many youth ministries have these goals, but one thing unique to Teens For Christ is how they also work to put teens in positions where God is working through their lives, giving them ministries of their own. Chad and his wife Britt are raising their two children, Aubrey and Corban, in Cottage Grove, Minnesota.